All students will report to the cafeteria upon arrival. If your student needs to eat breakfast, they may do so first in the cafeteria. To alleviate the congestion and ensure safety, car riders may be dropped off and picked up on the Chalmers side of the school, which is located by the Large Gym. You may access Chalmers by turning South on Holly Street. 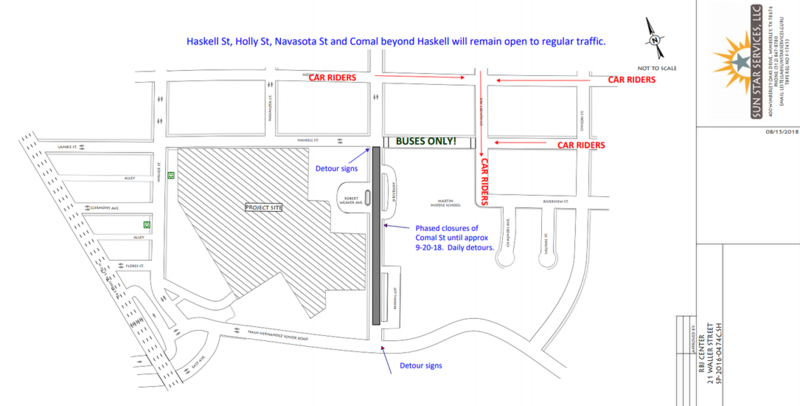 This will be the best detour since Haskell will be dedicated solely for buses and no thru traffic. Please be patient as there may be lots of congestion due to the temporary changes.